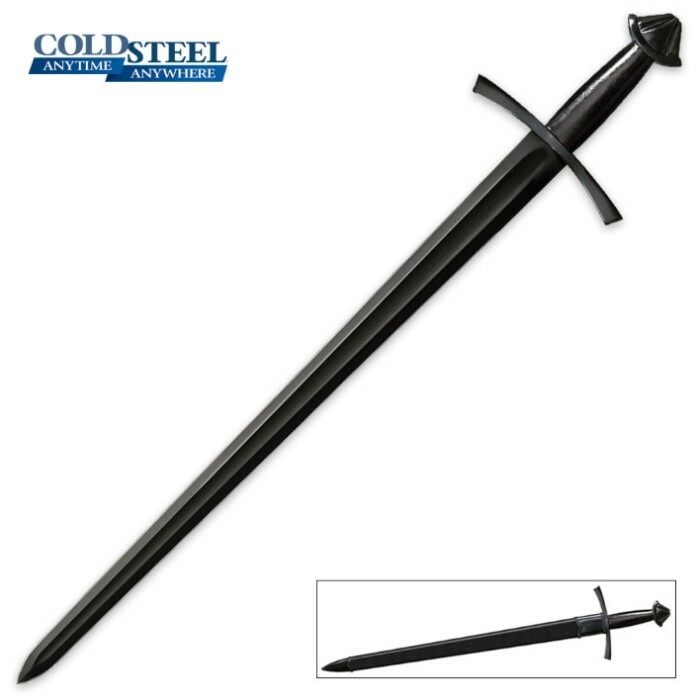 This Cold Steel Man At Arms Norman Sword was built to be battle ready with the true warrior in mind. Each piece in this collection is rugged, reliable and built to perform. The 30" blade features heavyweight carbon steel construction with a blued finish and fully sharpened edge right out of the box. A heavy blood groove spans the length of the blade, and an oversized guard and pommel complete the design. A dark gunmetal finish covers the MAA Norman sword entirely. A custom matching scabbard houses the powerful 30" blade. Measures 36-3/4" overall.